Our Men's Residential Program serves men age 18 and older facing life-controlling issues such as addiction. The complete program is 12 months in length and conducted at the Hope Center in Hampton Roads. Our Women's Residential Program serves women age 18 and older facing life-controlling issues such as addiction. The complete program is 12 months in length and conducted at the Hope Center in Hampton Roads. The devastation of drug addiction and alcoholism is not limited to the addict. In fact, in most cases, when the addict decides to get help they go into treatment while the family is left to pick up the pieces. It is our goal to bring the family into the recovery process. 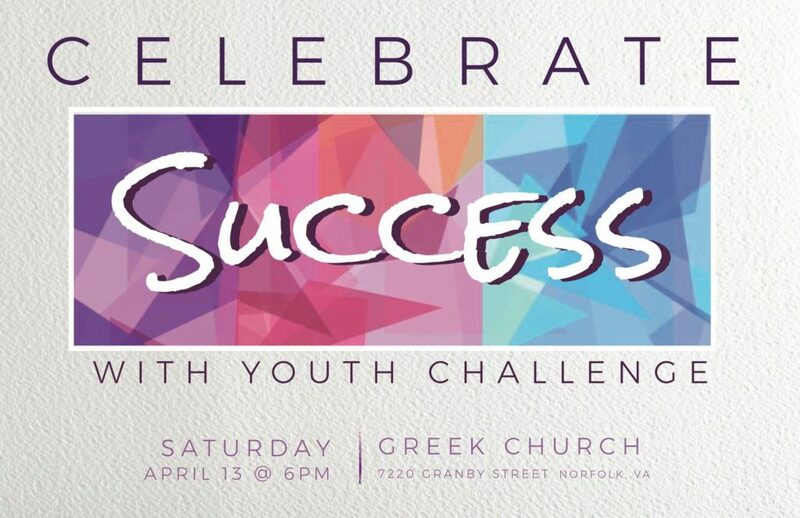 Join us in Celebration on Saturday April 13 at 6 pm at the Greek Church, 7220 Granby St Norfolk, VA. Youth Challenge has been helping men and women facing addiction since 1979 by providing faith-based recovery. The organization has been a treasure in Hampton Roads assisting with addiction & recovery for nearly 40 years. Many men and women have found freedom from addiction through the residential program. We are available to speak with your organization about how to assist those facing addiction.